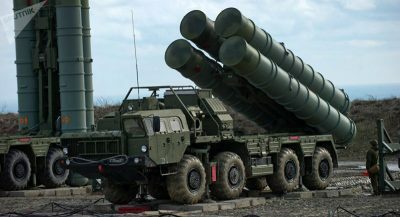 Russia’s decision to sell S-400s to India was met with concern by some Pakistani observers who worried that it might affect their country’s incipient partnership with Moscow, though this was later revealed to have been nothing more than speculation after the latest developments in their relations that occurred after that event. The joint anti-terrorist drills between the two Great Powers took place as planned, and their militaries later agreed to strengthen cooperation between their navies in early November. Around the same time, their two Prime Ministers met one another in China, where PM Khan invited his Russian counterpart Medvedev to visit Pakistan sometime in the future. Although it’s unclear when or even whether this will happen, an opportune moment would be if the memorandum of understanding on Rosneft’s possible construction of a $10 billion pipeline linking Iran, Pakistan, and India leads to anything tangible in this regard. This article was originally published on Dispatch News Desk.